Israelis notoriously have a hard time saying they’re sorry, let alone that they may have goofed big time. But that’s exactly what happened in an extraordinarily candid meeting last week between Better Place’s new management team and several hundred owners of the company’s Renault Fluence 100% electric vehicles. Not only did CEO Evan Thornley, the genial Australian who replaced Israeli founder Shai Agassi in October, concede that the company had set unrealistically aggressive expectations and that too many target dates had not been met, but his CFO, Alan Gelman, who’s also the CEO of Better Place Israel, went so far as to give out his personal cell phone number and email address. Talk about transparency. Thornley may have spoken too fast. This morning, the Israeli press reported that Thornley has resigned, citing disagreements with Better Place’s investors over exactly that: strategy. We’ll provide an update later once we know better what’s now going on (assuming the company continues to come clean). Despite this latest news, Thornley’s examples still make sense. 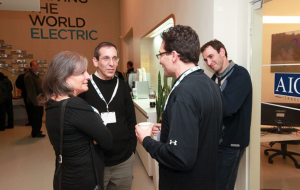 He cited Better Place’s lackluster sales to date of less than 1,000 all-electric cars currently on our roads but insisted that Israelis will eventually flock to electric vehicles. It’s just that it was unrealistic to expect that they’d do that before the infrastructure was all in place, and that’s just happened now. So while the media deemed Better Place a failure for sluggish sales, Thornley believes “we are now only at the beginning, not the end.” Current car owners should be seen for what they are: tech-savvy, risk-taking early adopters; the beta testers of the electric car industry, if you will. 2013 will be the make it or break it year, he stated, understanding the risks. Economides, who will be leading a renewed marketing campaign in Israel, has an impressive pedigree. He worked directly with Steve Jobs on the “Think Different” campaign that turned Apple around from the verge of bankruptcy in 1997. And he headed up Coca Cola’s international marketing while living in New York. Economides has been at Better Place all of three weeks but he was sold in less than ten minutes, he said, when he took a ride in his first electric car on a visit to Israel. He flew back home and got in his gas-powered car. “I thought I was driving ‘yesterday,’” he quipped. That car, he added almost as an aside, was a Porsche. What’s gone wrong in Better Place version 1.0? Plenty, as Thornley, Economides and Gelman heard while fielding questions from their outspoken customer advocates. The swapping stations aren’t in the right places (“the algorithm for networking planning is very different for electric cars and we didn’t get it quite right,” Thornley said); the batteries themselves don’t get the range initially promised (“what works in the lab is not always achieved in the field”). One owner felt Jerusalem had been abandoned (the opening of the capital’s only swapping station was delayed for months). And parking spots with power plugs and are too often filled with gas guzzlers (“we need regulatory support from the government for this,” Thornley emphasized). It wasn’t all doom and gloom. An equal number of Better Place customers took to the microphone to lavish praise on the company. Economides’ driving experience was roundly acknowledged (the acceleration on an all-electric vehicle, along with the spooky silence when stopped create a driving experience that’s uniquely exhilarating), and the company’s responsive Customer Service is on a level several notches higher than anything else available in Israel. Battery swapping is as fast as promised. And Idan Ofer, chairman of the Israel Corporation and Better Place’s prime investor, even made a surprise appearance, showing his commitment to the company he’s invested some $300 million in by arriving in his own Renault Fluence, which he parked in front to show off some special customizations he’d added (it was all tricked out with fully leather, electric powered seats). All this, nevertheless, begs the question: how exactly is Better Place going to make a better go of it this time around? Here’s what Thornley said last week. Whether this plan is the reason he’s no longer the company’s CEO isn’t clear. But his vision (and that of the management consultants who worked with the company over the past months) was simple: Better Place wants to be the electric recharging network for every electric car made. That means applying its experience in building charge spots and a smart power grid that doesn’t overload when everyone plugs in at once to supply the growing number of Nissan Leaf’s and Chevy Volt’s, even if they don’t have swappable batteries. To Israelis, that might not resonate so much because the only electric vehicles in this country are the Renault Fluence’s that Better Place sells. But in Thornley’s Australia, Better Place is already working with General Motors as the car manufacturer’s “preferred charge network. Of course, Better Place would like all the other electric vehicle makers to offer cars with swappable batteries, which Thornley said he still believes is the future of electric and the differentiating feature between Better Place and other up and comers. That will come eventually, he insisted, once a network of swap stations similar to the ones in Israel and Denmark is built out in target countries (the U.S. and China are high on the list). That poses a not insignificant chicken and egg problem, but Thornley said that, once Israel is acknowledged as a clear “proof of concept,” the economics of electric cars will ultimately win out. “The cost of manufacturing an all electric car is much cheaper than a hybrid,” he pointed out. “There’s only one power train versus two” as in a Toyota Prius, for example. And, he added, for many of today’s fixed battery electric cars, it would be fairly “easy to produce them in a swappable form.” Think 18-24 months for a factory to add that capability. Better Place also wants to be more transparent with its software – so far, “a brilliant integration but a walled garden,” Thornley admitted. Why can’t Better Place’s OSCAR GPS system work with Waze, for example? It should, Thornley said. The question remains, however: can Better Place convince the world that its Israeli “beta test” country is a success that can be applied elsewhere, before the company runs out of money again? It’s an imperative, explained Saul Singer, who gave a closing talk for the evening. Singer is the co-author of Startup Nation, the best selling book about Israeli entrepreneurship that featured Better Place in its first chapter as the poster child of the scrappy Israeli startup with global ambitions. This report on Better Place originally appeared on the Israelity website. When I spoke with Amit Elisha of OutBrain a few weeks ago, we discussed the company’s software release strategy. OutBrain operates under what’s considered the new Gospel of product development: get a basic version out there with a minimum number of features and maybe even a few known bugs, make it free, then let your users flood you with feedback so you can iterate and build your next version better. Continue this process until you climb out of alpha into beta and eventually to a fully functional product (which, to follow Google’s prolonged beta label example, could take many years). 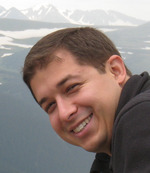 An interesting article by Jason Cohen, the founder of Smart Bear Software, on the On Startups blog challenges this methodology. Releasing too early and relying on the power of the crowd, he suggests, can potentially harm your reputation and potentially kill your product. He uses the iPod as an example. Apple designed its game changing music device far away from the public eye. If it had been part of a release-and-iterate cycle, he says, could Apple possibly have gotten away with building a battery-powered device where you can’t change the battery! Or one without an FM radio (which was already included in many early iPod competitors – it’s finally been added to the new iPod Nano years later). Cohen presents additional points to back up his hypothesis. Startups often invoke the 80/20 rule that says you can implement just 20% of your features because that’s what 80% of your users want anyway. But Cohen says that doesn’t apply the way you think it does. The truth is that 80% of your customers use a different 20% from each other. So you need to push out more features, not less, to satisfy a larger cross-section. Twitter is often trotted out as a classic example of “get it out fast,” but it’s a bad one. While the service quickly gained a large and rabid following, it has been suffering from backend scalability problems ever since. Twitter has sufficient capital and some super-smart engineers who can work around the clock to fix what ails it, but your two-person startup may not be so lucky if you release before you’re ready. Customers don’t actually know what they want. “They’re much better at describing what’s difficult in their life, what frustrates them, or what takes up a lot of their time,” Cohen writes. But did anyone ever say “gee, I wish that I could send a video ringtone to my friends” (this is an idea that only a couple of smart entrepreneurs could think up). Over the last 20 years, I’ve built or been a part of a team building a number of products. When I was working at CD-ROM developer Mindscape, I got into a huge fight with my boss over when to release a product that I had been toiling over for the better part of a year. The company had sales orders from its distributors, but I knew the product was still buggy and wasn’t ready. Even worse, this was in the pre-Internet days; once the CD was shipped, it would take a new budget allocation to fix it, which I knew would be hard to obtain. When I was essentially given a choice – ship the product or pack your bags – I opted for prudence. More recently, though, I fell victim to my own emotional involvement with a product that would have done better to release early and iterate. I got so caught up in getting it right, I didn’t realize that the business model was wrong, something that would have become apparent if users had a chance to kick the tires. 1) Craigslist – if ever there was a bottom up, build it fast and they will come approach to web development, Craigslist would be the poster child. Of course, Craigslist got stuck after the first round of iteration – the site hasn’t been functionally updated for years, but it works and no one’s complaining. 2) The Apple Newton – this is not so much an example of slapped together product development, but it nevertheless demonstrates how a bad start can sink a product. The world’s first PDA came out in the early 1990s. It was a revolutionary product but “the handwriting recognition sucked and there weren’t a lot of apps,” Cohen explains. The public’s response: “it doesn’t do a lot and what it does do doesn’t work well.” By the time Apple addressed its myriad problems, it was too late. Ultimately, there’s no clear-cut approach. I tend to lean towards the “you’ve got only one chance to make a first impression” direction but, as a number of comments on Cohen’s blog post argued, not every company is Apple. What do you think? Which direction is more likely to lead to success…or kill a company? I’d love to hear from you in the comments to this post. It’s happened to all of us at least once or twice in our careers. We’re writing a school paper or updating a website and we need a photo or graphic image to illustrate a point. That usually entails searching a number of different photo sharing sites such as Google Images, Flickr, TwitPic, PhotoBucket, and others. Once you’ve found the picture you want, you have to click through to see the full size image, right click to download it, then choose Import to paste it into your Word document. And that’s assuming you’ve received the copyright clearance to use it. What if you could do all this in 2 steps? That’s the idea behind Ginipic, a small Israeli startup with a big idea. Enter a search term and the Ginipic application crawls 15 different web-based photo sharing application. The software then presents the results on a single screen. That’s already a big improvement from Google’s image search, which only displays a maximum of 25 photos on a page, requiring users to click the “Next Page” button repeatedly. Ginipic will even search your own computer. Once you find the image you want, simply drag and drop it into the application you’re using – whether that’s Word, PowerPoint or an email program. The Ginipic application is designed to work “side by side” with other programs to help eliminate switching back and forth between screens. Ginipic shows copyright details and a photo’s Creative Commons status to keep you from inadvertently infringing (a dollar sign and a large “Buy Now” button appear when an image isn’t free). Other goodies include the ability to instantly share images on social networks, set an image as your desktop background, and save it to a built-in “lightbox” that contains only those pictures you’ve selected to view. The service is the brainchild of three young Israeli entrepreneurs and childhood friends from Even Yehuda: Lior Weinstein, Noam Finger and Orr Sellah (who, not coincidentally, are also the only employees in the company). Ginipic has taken on no investment to date but is currently looking. Ginipic is entirely free right now and, unlike other web services that pitch a paid premium version, the company’s business model is to cut “white label” deals that will give an existing photo sharing site Ginipic’s functionality but with the partner’s branding. Ginipic is also in talks with several advertising agencies to update their aging interfaces for image search. Weinstein said the idea for Ginipic actually came to him in a dream. “I was working on a big paper in a classical studies course” at Tel Aviv University, he said and needed pictures of ancient Greek and Roman statues. Exhausted, he fell asleep one night and dreamed of dragging pictures directly from the photo sharing websites he visited into a Word document. Two weeks later, a mock up was done and the company was on the fast track to development. Ginipic is not a web application but a download and it works on Windows only (bad news for all the creative types and increasing numbers of students who use Macs). Why the download? we asked Weinstein, aware that this is often a barrier to usability for many wary web denizens. That was the only way to enable the drag and drop functionality. You can’t go direct from web to Word, nor can you search your own computer, Weinstein explained. Fortunately, the software itself is small – only 4 MB – making for a relatively painless installation. I asked Weinstein about Ginipic’s product management process. There wasn’t much, he said. The team just jumped in and started coding. After about a month, “we did a proper product plan,” Weinstein said, with a feature roadmap and competitive analysis. As with many self-funded startups, the “go for it” approach can be effective. Weinstein warned against “feature freeze” where you plan too much and never get the product out the door because there’s always one more feature to add. Ginipic also used an interesting tool for soliciting customer feedback. UserVoice puts a small tab on the left side of every screen on the site. Clicking allows users to vote on which features they’d most like to see (a Mac version leads the list). The service is free for 100 votes per month. It ramps up rapidly from there to a max of $589/month for all the bells and whistles. Weinstein said that after all the feedback was in, the team was pleased that there were no additional features they hadn’t originally thought of. UserVoice helped mainly in ranking what functionality should be rolled out first. Ginipic is not without competitors. Meta-search services like Copernic have been around for years, and Microsoft Office’s Clip Art tool is already built into Word (“although no one uses it,” Weinstein mused). Other sites, such as CoolIris, are more about enjoying images online than searching them, Weinstein pointed out. So far, in the 9 months since Ginipic launched, it’s signed up over 100,000 users “on $0 advertising,” Weinstein said. Approximately 25 percent of those are active users. Among the services with which Ginipic works are DeviantArt, Flickr, Picasa, Google, Fotolia, Bing, PhotoBucket, SmugMug, Yahoo, Dreamstime and Crestock. I use a Mac, so I personally won’t be able to give Ginipic a spin anytime soon but I’ll recommend it to my PC-using friends. A version of this story originally appeared on Israel21c. 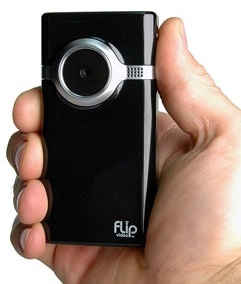 Why has the Flip video camera (and now its key competitor the new iPod Nano) been such as a roaring success? An article in the September issue of Wired suggests it’s part of a technology trend to build “good enough” products. In terms of growth (if not total numbers), the little Flip is beating the pants off full-featured digital camcorders from Sony, Canon and the like (sales at Flip are up 200% this year even in the recession). The video on the Flip is indisputably crappy; the camera itself has none of the bells and whistles of its bigger cousins (there isn’t even a proper optical zoom); even the view screen is tiny. The Wired article presents a number of other examples, from “eLawyering” to reduced expectations from military hardware. The most familiar, though, is the de-evolution of music quality. Even today, old-fashioned records are still considered to deliver the highest-fidelity sound. Of course, by the end of the 80s, these were nearly entirely replaced by CDs, which purists derided for years. But the real change is the MP3 which is clearly inferior in sound quality. But, again, it’s “good enough.” Music lovers can store thousands of songs on a mobile device and easily share or download the small files. Even more: in an informal poll conducted over the last six years by a Stanford University professor, young people are increasingly stating that MP3s sound “better” than CDs, because they’ve become accustomed to the distortion found in compressed audio. If that isn’t “good enough,” I don’t know what is. So what does this have to do with product management, the theme of this blog? The same trend in end user products has crept into the product planning and strategy phase. It used to be that you needed significant capital to properly launch a startup (we raised just under $1 million in the first round for Neta4 in 1998 – and that was considered on the low side). It’s much easier today for a couple of talented engineers to cobble together a working beta (and isn’t everything beta for years nowadays?) quickly and with little or no investment. When you’re coding in hurry, there’s no time for product management. You post it and then crowd source changes in near real time. There are two schools of thought here: virtually ship it “good enough” and iterate, or get it right before launching, the thought being the old adage that you only have one chance to make a first impression. It may seem that I’m arguing for the latter approach, but truthfully, they both can work (and they both can fail). For agile companies in a hurry, I’d recommend that as soon as they do receive funding (and after all, other than a few viral Facebook, Twitter and iPhone apps, it’s pretty hard to make it to the big time without investor backing), they back up and start the product management tasks they didn’t have time for the first time out – planning, strategy, specifications, prioritization, roadmap, business intelligence, competitive analysis and more – with an aim towards hiring a full time product manager as soon as possible. There are some great companies out there that have taken unorthodox ways on the path towards success. “Good enough” technology is here to stay. That doesn’t mean that product management necessarily has to follow suit.